This extraordinarly beautiful home has magnificent views and a mountain stream running alongside providing a constant soothing melody. It is a symphony of glass and stainless steel with travertine floors and African rose wood. There are 5 en suite bedrooms. Double volume formal living room, which is overlooked by a balustraded romeo and julliette balcony. Apartment On The Top Of Capetown. Amazing 285 degres view on the top of CapeTown, South Africa. Breath-taking views of the city,harbour and mountain block. Initially 3 bed , top floor flat, converted in 2 Beds with BIC's. Extra Spacious lounge and dinning room, leading onto balcony. Separate Guest + private parking bay. A stunning beachfront apartment with sensational panoramic views of Table Mountain, Robben Island and the Atlantic Ocean. Very spacious 2 bedroom, 2 bathroom, modern beachfront apartment with an open plan kitchen, lounge and dining area. Lounge, kitchen and bedroom all have full views in this newly renovated international standard unit. The Stellendale Village offers a unique lifestyle environment in the winelands district. Six hundred modern homes in a well designed security village with generous public open spaces and private gardens, making it the home youâ€™ve dreamed of! Stellendale is an innovative housing concept situated next to the Stellenbosch Arterial Road in Kuilsriver. Stunning Premier Property On The Garden Route! An ABSOLUTELY STUNNING property located outside Wilderness with truly spectacular views, this is one of the premier properties on the Garden Route covering approximately 32,4 Hectares of mainly protected indigenous forest as well as open grassland. 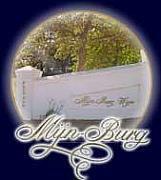 The farm is situated close to Stellenbosch, Paarl and Durbanville. 50 km's from Cape Town and we have a view of the famous Table Mountain. This small 4ha farm is situated in the most beautiful valley on the Stellenbosch mountains. Characterful house with a lot of charm in an exclusive environment. Beautiful views overlooking the vineyards of the winelands of Stellenbosch. The main house consists of a lounge, dining room, kitchen, 3 bedrooms, 2 bathrooms, study, domestic quarters and a laundry room. Situated adjacent to one of the internationally renowned Fancourt championship golf courses, this immaculate two-bedroomed lodge offers 24 hour gated security in tranquil surroundings as well as access to world class standard sporting and spa facilities on your doorstep. 180km from Cape Town Int. Airport and from the Garden Route you will find the Rivers Edge Private Estate. The most scenic routes through Weltevrede Wine Estate which hosts the properties of the Rivers Edge Private Estate. Hotel Room: Fully Furnished, insured and maintained with Room Service Sectional title unit, 35 square meters. Run by the Protea Hotel group. No Transfer costs, Company owned. Worth R420 000:00 at purchase. Tied to a Rental Pool Agreement - owners receive share of profits monthly net of expenses.